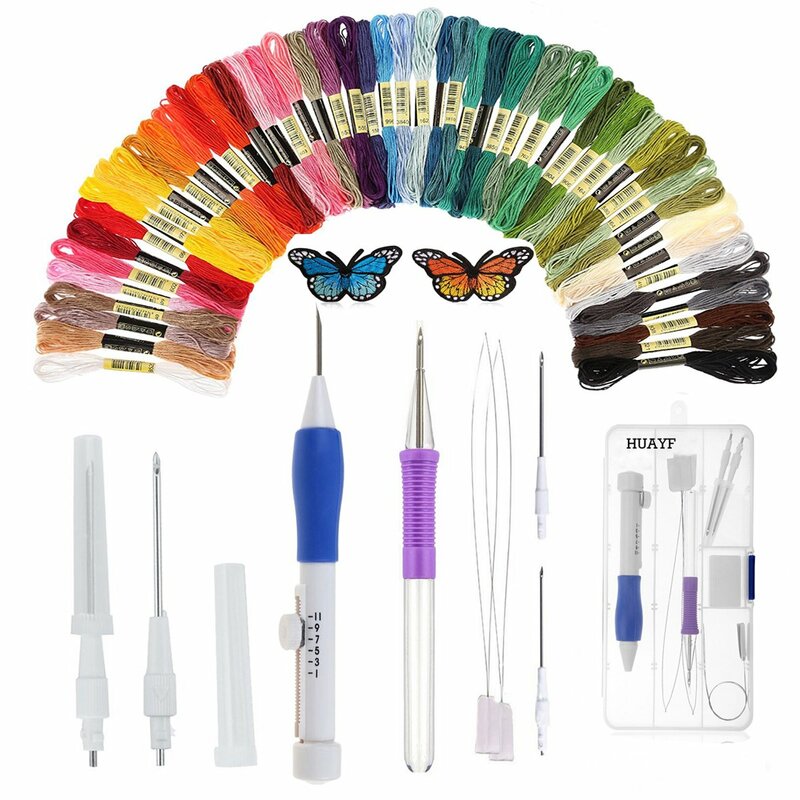 HUAYF Embroidery pen is the Great Gift for Mother's Day-Speed Your Embroidery Work: HUAYF Magic Embroidery Pen Set is designed to make your work more efficient, with all the accessories and follow the guidance will make your embroidery work much easier than ever. 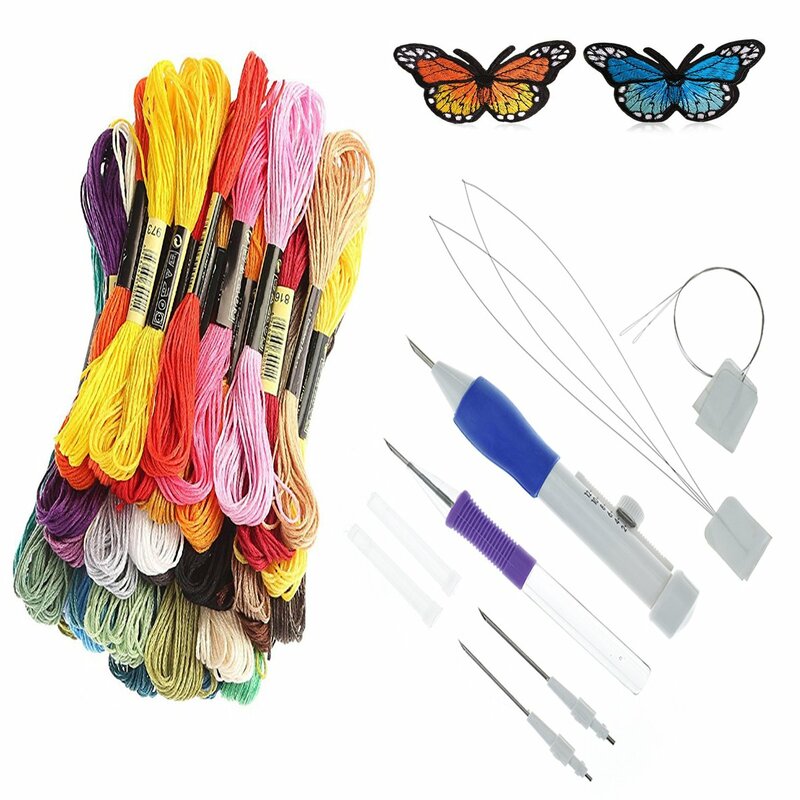 Perfect Kit for Beginner: 3 x magic embroidery pen, 1 x extra punch needle, 1 x 50 color threads, 4 x threaders and 2 x butterfly embroidery applique,Perfect kit for beginners. 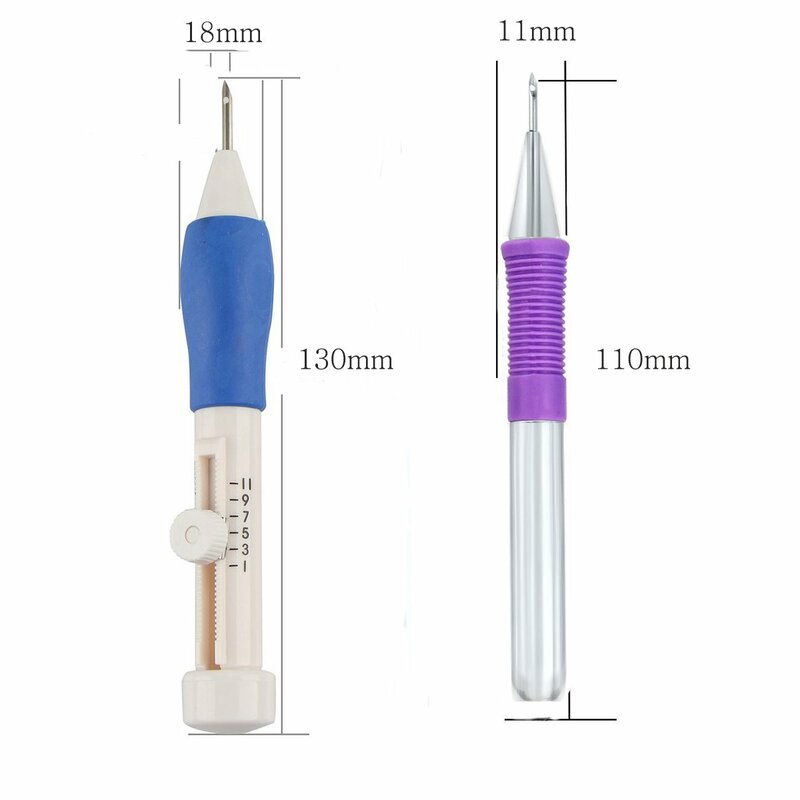 Adjustable Length and Size: Small/medium/ large-Three types of needles can be interchangeable, you can do many pretty and delicate art works, such as: backstitch, loop, stain stitch and more! 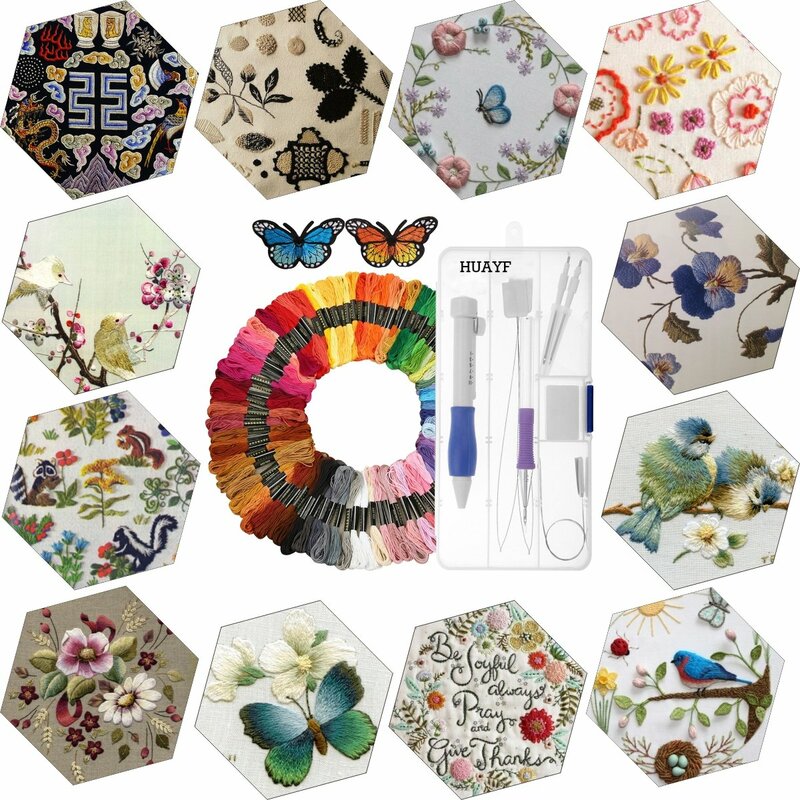 With this you can transform any texttile item with patterns, writting, flowers patches or more! 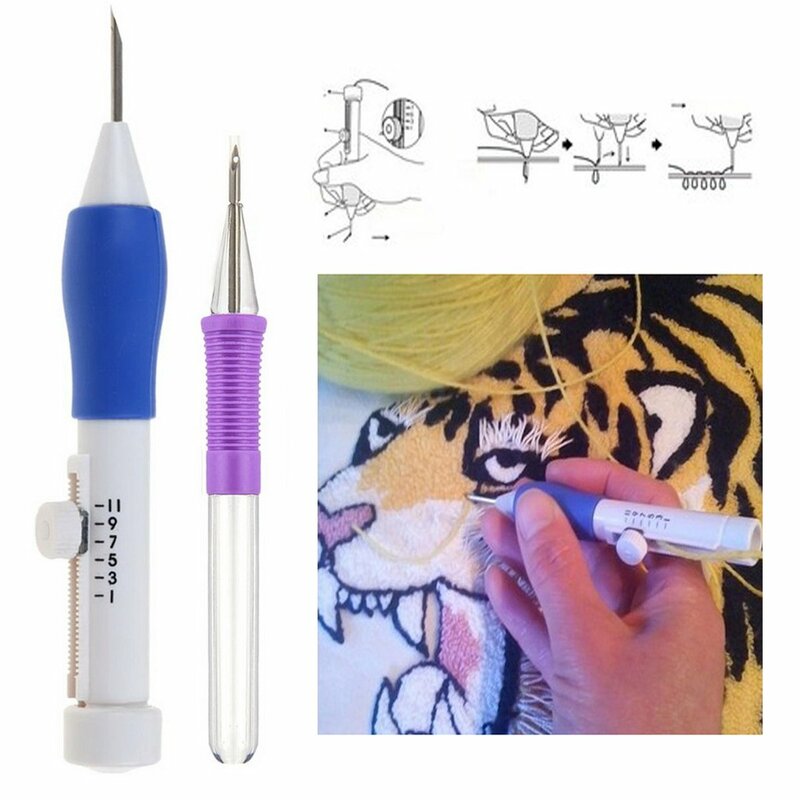 Humanization Design: The non-slip ergo-grip makes it easy to hold and craft beautifully intricate embroidery designs in a fraction of the time as standard embroidery. 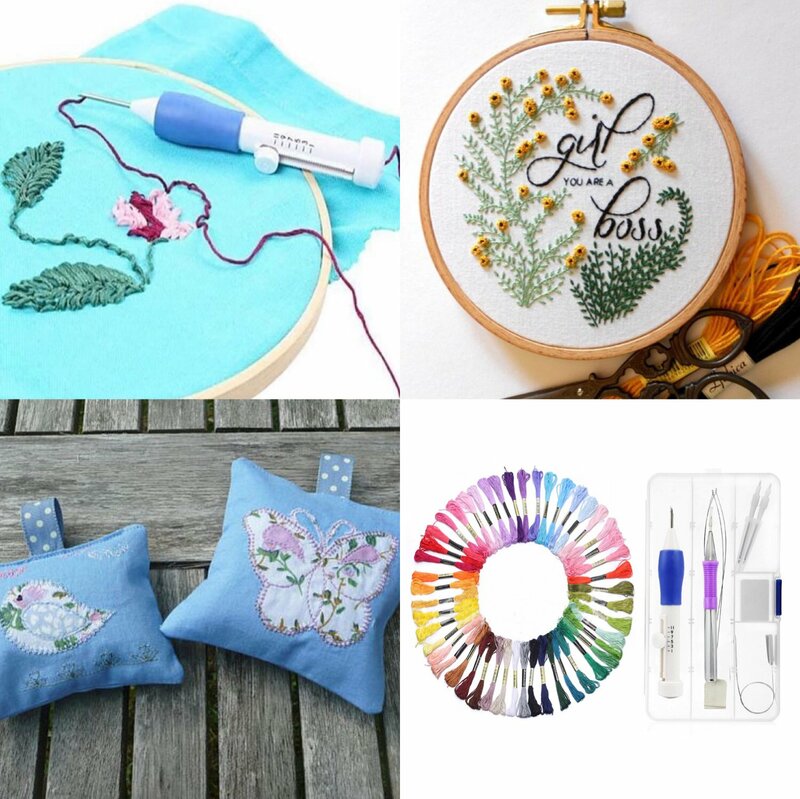 Needle Punching is an easy , unique and Beautiful craft : You can use embroidery pen to complete the home commonly used in the curtain, pillowcases,clothing, decorative paintings, insoles and other commonly used household items, easy to get started, but also easy to produce manual DIY. Needle Punching is an easy, unique and beautiful craft that can be appliedto almost of clothing. ★Quilt ★Place-mats ★Purses ★Table Runners ★Towels ★Totes ★Table Cloths and more as your imaginationcan reach. 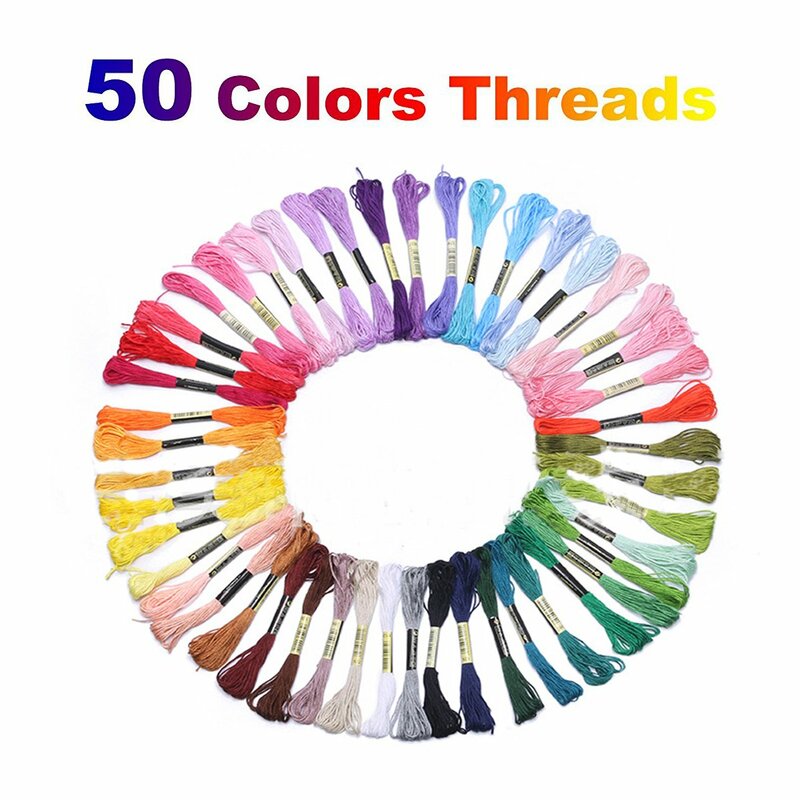 In the process of embroidery, people will be immersed in the joy brought by embroidery, unconsciously, they will forget the troubles of work and life. This punch needle set will do all you need to complete any project.Such as :backstitch, loop, satin stitch and more! 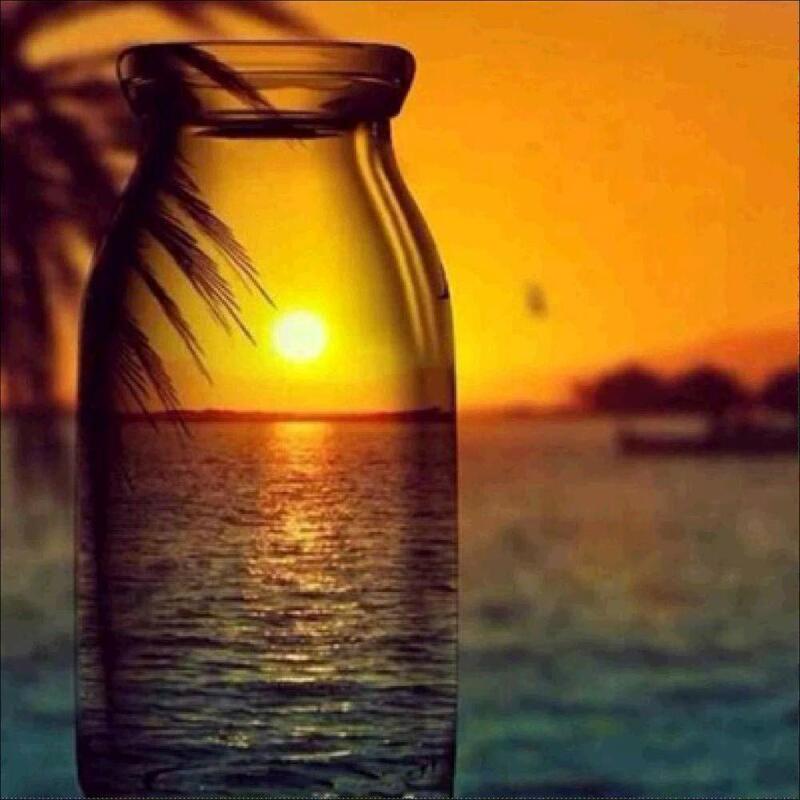 5.Repeat the process.A beautiful piece of artwork can be done . 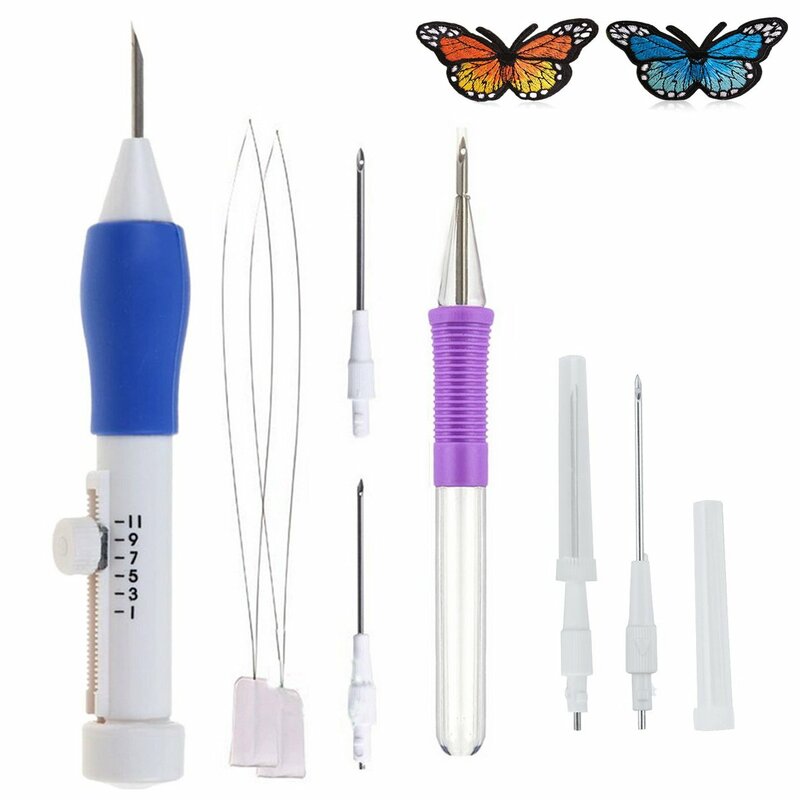 ✔The magic embroidery pen set is peaked tip needles, please keep them far away from children. 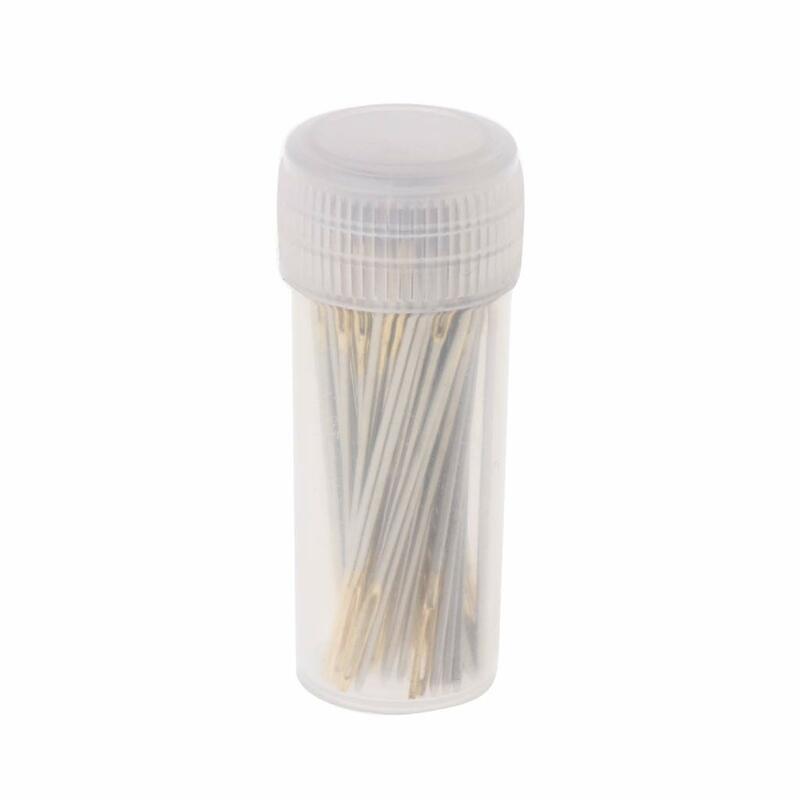 Two needles were defective (one popped out of it's plastic base, the other wasn't bored all the way through so it couldn't be threaded) so I had to return it. Purchased the Cameo brand for the same price (but none of the extras) and it seems to be much better quality. very cheaply made. It broke after being used twice. would not recommend this. not as easy as described. Bought as a gift and took her awhile to figure it out. very disappointed. Didn't work like I thought it would. Looks easier on screen.